Whether you're heading to the woods for a camping adventure or hosting a backyard barbecue for the neighbors, YETI hard-sided coolers can support a variety of adventures. Head to Ace to get big savings on your favorite top-rated YETI coolers and lunch boxes. YETI offers a large range of hard-sided coolers with different features and capabilities. 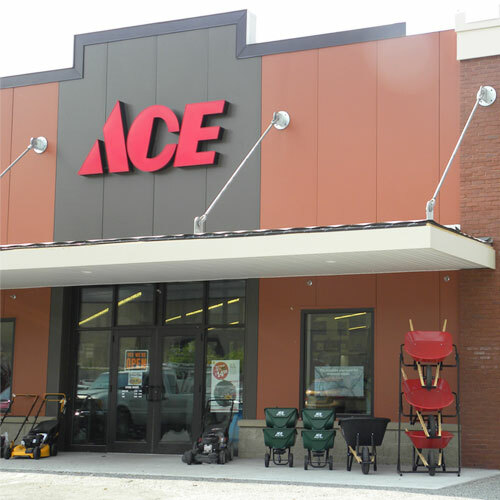 Luckily, the helpful staff at Ace can make it easy to find the perfect top-rated product for your needs. All YETI coolers are high-quality and durable enough to withstand all your rugged adventures. Hard-sided YETI coolers are especially heavy-duty, making them the perfect companion on camping trips, fishing trips and tailgates. YETI Tundra: The Tundra is the standard line of YETI coolers. Ranging from small ice chests to massive coolers, these designs have an impressive carrying capacity. The Tundra is perfect for a range of activities and outdoor explorations, including camping and boating. YETI Tank: The Tank is similar to a heavy-duty ice bucket. Perfect for holding up to 85 cans, these party-ready ice tubs include Roto molded designs and military-grade nylon handles to keep it durable enough to carry your load over and over again. The Tank is perfect for tailgates, backyard barbecues and other similar events. YETI Roadie: The Roadie is small but mighty. As its name suggests, this cooler is ready to hit the road in a moment’s notice. Designed with the same YETI features you know and love, the Roadie is more compact to fit within any grand adventure. Whichever design you choose, YETI ice chests and tubs are available in a range of neutral and bold colors to fit your style, including tan, white, gray and blue. For more YETI cooler options, browse our range of YETI soft-sided coolers. If you’re ready for adventures in the city and in the great outdoors, shop for your favorite top-rated coolers from YETI online now. If you still aren’t sure which ice chest is right for you, head to your local Ace to get expert tips and advice from our helpful staff.